The focus is on dates because of their symbolic importance to Muslims, who traditionally eat them at sunset during the holy month – due to begin on Wednesday next week – to break the daylight fast. "At a time when we are thinking about people less fortunate than ourselves it would be hypocritical and an affront not only to ignore what's happening about Palestine but also to support it by buying dates from Israeli. You're fuelling oppression," said Shamiul Joarder, from Friends of Al Aqsa. The check-the-label campaign is supported by a number of groups, including War on Want and Jews Boycotting Israeli Goods. Pro-Palestinian activists say dates account for about 15% of exports from Israel to the EU and its income from the fruit each year is approximately €80m (£66m). The boycott organisers believe a large proportion of that income comes from Muslims buying dates during Ramadan, and with more than 2m followers of Islam in Britain, they say they have the economic clout to harm a lucrative Israeli industry. 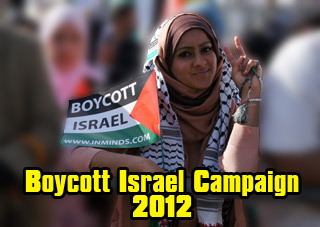 But the Israeli ambassador to the UK, Ron Prosor, appeared to take the threat of a boycott lightly. "Israel will continue to successfully export dates, whilst others choose to export hate," he said. "We encourage Muslim shoppers to ignore this nonsense, and instead double the quantity they usually purchase, to help bring about a two-date solution." Muslims are being urged to reject not only dates produced in Israel but also those labelled as having been grown in the Jordan Valley or the West Bank. Campaigners say that dates grown in the occupied territories are produced in Israeli settlements and although some Palestinians are employed there, they toil in harsh conditions to do work the settlers will not do themselves. Many of the workers are child labourers, according to activists. The Check the Label network (checkthelabel.org.uk) is attempting to spread awareness through leafleting, putting up posters and using social networking sites such as Facebook and YouTube. The campaign is primarily directed at consumers, but activists are also approaching wholesalers and shops. In Bradford, members of the Palestine Solidarity Campaign (PSC) are planning to produce leaflets naming and shaming shops which refuse to remove Israeli dates from their shelves. Ruqayyah Collector, from PSC, said: "Israel is breaking UN law day in and day out. What we're saying is enough is enough. 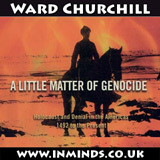 Just look at South Africa, when people boycotted goods coming out of South Africa – the oranges, sport, they felt it." The Muslim holy month of Ramadan is here, and anti-Israel organizations are using it for their campaign against Israeli products, urging Muslims to boycott dates grown in the Jewish state. The fruit is considered an important component in breaking the daily fast, and the consumption of dates rises significantly in the Arab and Muslim world this month. Calls to boycott the Israeli fruit came from pro-Palestinian organizations in Europe and received a stage in Arab and Iranian media. The Friends of al-Aqsa organization in Britain published an announcement urging Muslims in Europe not to buy dates grown in Israel. 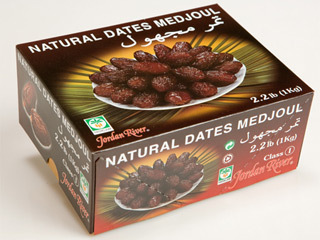 According to the organization, these dates come from settlements in the Jordan Valley and should therefore not be consumed. "By consuming these dates, you are helping the settlers steal land," a statement quoted by the Iranian news agency IRNA said. The statement also negated the Israeli claim that a boycott on its dates would affect Palestinians employed by the date growers. "The Palestinians are employed in exchange for meager wages and do jobs that the settlers don't agree to do," the organization charged. The Friends of al-Aqsa went so far as to claim that the settlements employ Palestinian children in deplorable conditions, which is why the Israeli dates are ultimately cheaper than dates grown by Palestinian farmers. The organization claimed that export of Israeli dates from the Jordan Valley to the European Union amounts to some 5,000 tons per year, which generates an income of some $64.5 million per year. It should be noted that similar statements were published not only in Britain, but also in other European countries such as Belgium, France and Holland. The Israel Fruit Growers Association has yet to respond to the report. 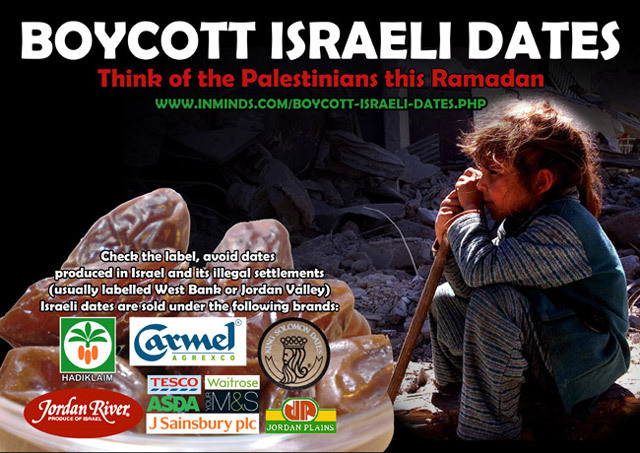 In addition to our own annual Ramadan Boycott Israeli Dates campaign this year Friends of Al-Aqsa have also launched 'Check the Label' Boycott Israeli Dates campaign, visit their campaign page here. There really is no excuse for any Muslim in the UK to be unaware of Israeli dates, let alone to buying them.